A game improvised in about 10 minutes in front of a live audience at Babycastles, to demonstrate the playfulness and joy of Klik & Play. You can play it in your browser but it's just gonna start crawling when the wizards start flying, so if you're on Windows, please download it. 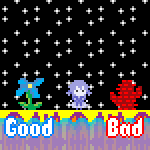 There's a 32-bit .exe included as well as the original Klik & Play version. 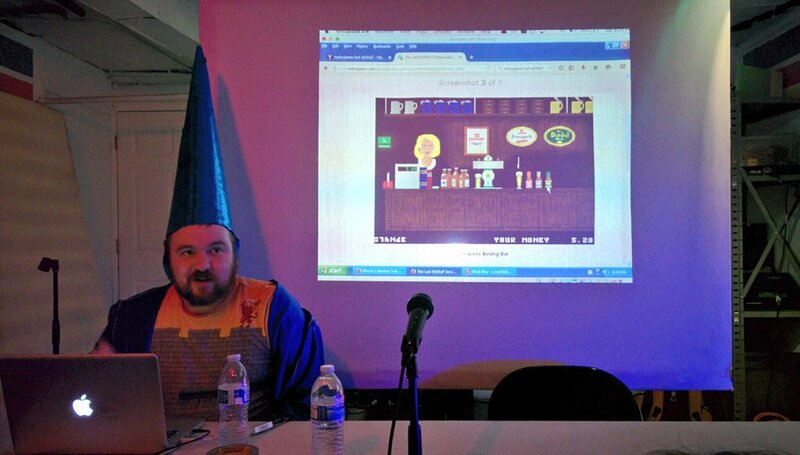 Important: I made this game while dressed as a Klik & Play wizard.